Ukraine’s Ministry of Defense reported at 12:30 PM Kyiv time that on March 21, three service members of the Ukrainian Armed Forces were wounded in action. In the last 24 hours, Russian-terrorist forces opened fire 11 times on Ukrainian positions in the Donetsk and Luhansk sector using heavy weapons in 10 instances. According to the Ukrainian military intelligence report five invaders were killed as a result of returning fire by the Ukrainian Armed Forces on March 20. In addition, the Ukrainian military destroyed the enemy ammunition warehouse and one military vehicle. On March 22, Pavlo Hryb, 20-year-old Ukrainian citizen, was sentenced to six years in prison by a Russian court. To protest the ruling and the fact that he was denied medical treatment or visits from Ukrainian Ombudswoman [Denisova] while in custody Pavlo announced a hunger strike after the verdict was announced. Hryb went missing in August 2017 after traveling to Belarus to meet a woman he met online. Later, Russia’s Federal Security Service (FSB) informed that Hryb was held in a detention center in Russia, as reported by the Radio Free Europe Radio Liberty. Hryb’s relatives argue that the case against Pavlo is a fabrication and retaliation for his Internet posts that were openly critical of Russia’s interference in Ukraine. The Ukrainian Foreign Ministry protested the ruling and demanded an immediate reversal of the unlawful sentence, medical support, release and unimpeded return to Ukraine. According to Pavlo’s doctor and relatives in Ukraine he suffers from portal hypertension, a kind of high blood pressure. Denisova said in January that Hryb’s medical condition had worsened in Russian custody and that he needed heart surgery. 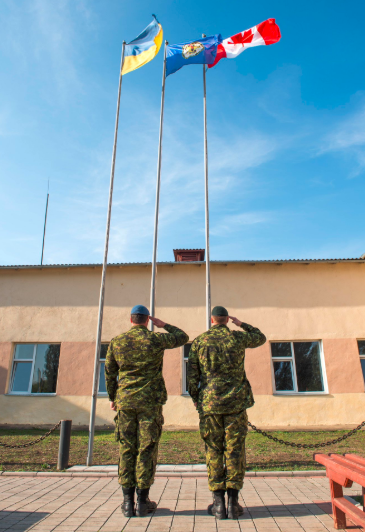 This week, the Canadian government submitted the 2019 budget to Parliament with a $105.6 million allocation for training Ukrainian military personnel and other security assistance. “The Government remains fully committed to providing this assistance to Ukraine. To that end, Budget 2019 confirms the Government’s plan to invest up to $105.6 million over three years, starting in 2019-20, to renew Operation UNIFIER,” reads the budget. As noted, these funds will be used to provide training for the Ukrainian military and to implement the strategic goals of reforming the Ukrainian defense sector. The amount “includes $99.6 million over three years in incremental funding for Canada’s military contribution, and up to $6 million to support broader efforts on defence and security sector reforms in Ukraine allocated by Global Affairs Canada from existing International Assistance Envelope resources,” the document says. Remaining a reliable partner Canada is one of the largest international supporters of the country’s efforts to defend itself and implement democratic and economic reforms,” the draft budget stresses. As reported, Canada extended the Operation UNIFIER to train Ukrainian service members until the end of March 2022. U.S. moved to seize An Amorous Couple painting by Pierre Louis Goudreaux that was taken by Nazi forces from a Ukrainian museum near the end of World War II. 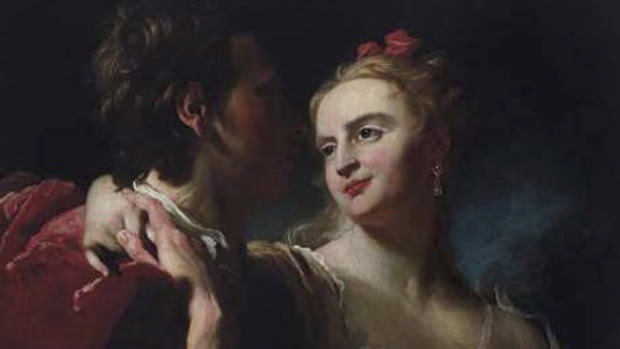 According to Manhattan federal prosecutors the French painting was stolen from the Bohdan and Varvara Khanenko National Museum of the Arts in Kyiv around 1943. In recent years, U.S. officials have stepped up efforts to locate art seized from Ukraine by Nazi forces and return it to Ukraine. Last year, U.S. authorities reclaimed more than a century old painting of Russian Tsar Ivan the Terrible by M. Panin that was stolen from a Ukrainian art museum in the Ukrianian city of Dnipro during the World War II. That painting by Mikhail Panin, called The Secret Departure Of Ivan The Terrible Before The Oprichnina, was part of the permanent collection of a museum in the Ukrainian city of Dnipro before the war. In view of the upcoming presidential election in Ukraine will take place on March 31, 2019, the Ukrainian Canadian Congress continues to offer updates on the race and the candidates. This week the top running candidates are the same as last week – current President of Ukraine Petro Poroshenko, ex-Prime Minister Yulia Tymoshenko and comedian and political novice Volodymyr Zelensky. To learn more about presidential election timeline visit the UCC website.